How many times have I searched content items looking for walls that had cutouts/leaveouts pre-created so I can add a door or something that needs a pass-thru. I was looking at some of the promoted content in the content store. No way to put doors in most of those props. There are some that have openings. So, if we had a good tool for creating cutouts or leaveouts we could really extend the value of those prop items. I appreciate there are some props with door openings, except if you have to scale the prop the door openings won't work. It would be very good, if we had a tool for making cutouts, or leaveouts. Call them what you want. It would be best to do this within iclone. I realize we can use other graphic tools, import through 3DXchange into iclone. That is very inefficient and really takes time and often the results aren't good. While this is not "exactly" what you describe, Magic Room by Apparition is a tool that is very handy from the opposite perspective. See this Magic Room that comes from the product. If you watch the tutorial on the product page, you will see that every door and window can be resized with the rotate/scale/select tools by manipulating the various morph handles. 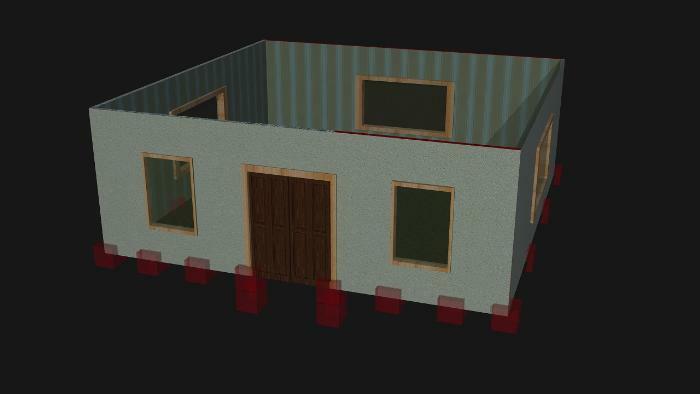 For example - on this I removed the front door and windows and the back window and retextured the wall. 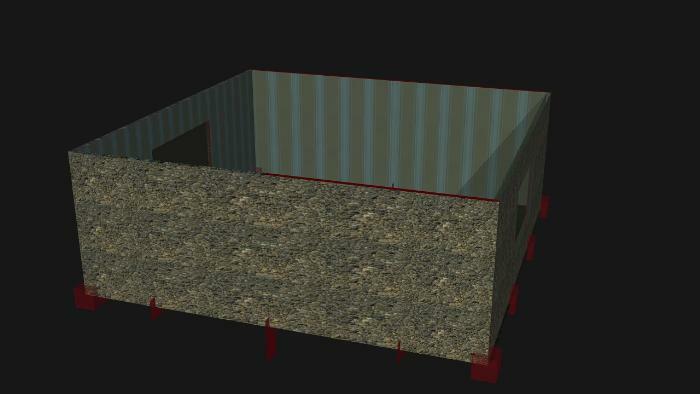 The kit also comes with separate wall with door and window, walls, roof, floor, etc. all with morph handles. Here is a wall from the kit. Right now this product is 50% off here and frankly this should have been put back to regular price long ago but I'll leave it for a few days at the 1100 points. Again, while this is not exactly what you are asking for...I think you could achieve an awful lot with this product. I'll post the tutorial by Apparition here. Having a tool for cutting holes or shapes in props would be very handy. True. But you quickly enter the realm of "3D modeling" tools, and then there's no end to that. It sounds handy, but it could also be a huge sink-hole that absorbs unlimited resources and diverts them from working on iClone's core functionality. Meanwhile... what about utilizing Opacity (transparency) maps? They won't work in every case, but are a powerful tool. a tool like procutter in iclone would have endless uses for those that model inside iclone. It would be nice to have a little bit of modelling available inside iClone but it is more important to focus on the animation and effects. I am ok with modelling outside of iClone. 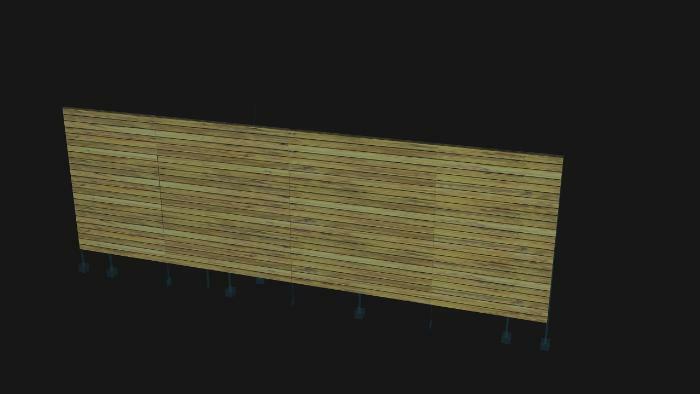 A door can be put in a wall in sketchup easily enough. I would like the modelling inside iClone as long as it did not take away from the core purpose of iClone which is filming the movie with animation and effects. I would much rather see better effects inside iClone. 3d particle effects with more control over size, shape and color throughout the duration of each particles' life with physics and some randomness within each effect. Scene building is a major part of producing videos. 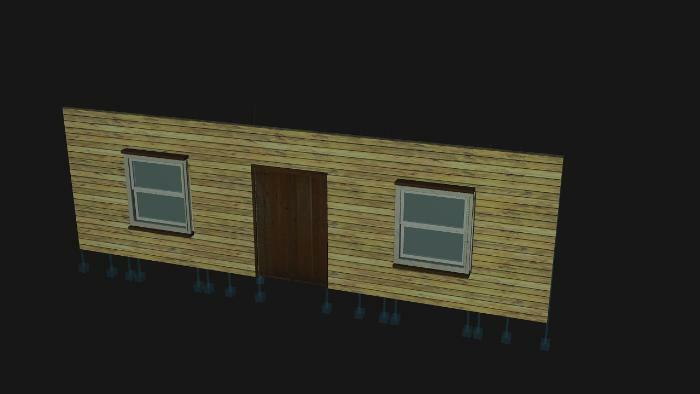 It is tough enough searching for props on 3Dwarehouse, then messing with them in 3DXchange, exporting to iclone. If I had to modify the props in sketchup as well it would be hours more work. All I am asking for is some ability to poke some holes. I am mostly thinking in terms of structures for poking holes. Yes, more ability to build effects would be fun. Doug (Mythical Dragon) helped clarify what I was trying to say. But I'll type more anyway. First - I totally agree it would be convenient. But - The reason I warn about it being a "sinkhole" is that there will always be more and more we want. Round holes, square holes, easily resizable holes, holes based on spline curves. Tapered holes? How deep is the hole? The math library becomes more complex if the hole goes through non-flat items, like a sphere. What happens if we put a hole on one side of a torus (donut)? Depending on the direction the hole goes, does it go through the other side too? And why just holes? How about protrusions? Even something as simple as "poking a hole" in a wall has issues. How to we texture map the insides surfaces of the holes (like when it goes through a wall)? Suddenly iClone needs to know how to "unwrap" the surface for UV mapping. I sure would love to be able to manipulate existing UV maps (to reposition nodes relative to the texture image), but doing the unwrapping is another thing altogether. Bottom line - I do like the idea, but I'd rather have iClone be the BEST ANIMATION tool, and continue to use a 3D modeling tool that excels at its job. Companion suggestion - I'd like to see 3DXchange be more intuitive. So if they asked me, I'd say put the effort into refining the 3DXchange user interface rather than adding modeling features inside iClone. Unless they can do both, in which case I have no objections. I'm not ranting at you. I'm just passionate about this. I've seen this happen before. Software, which started great, gets diluted to where it ends up doing nothing well, becomes unstable, has a complex and cluttered user interface, and (adding insult to injury) they try to charge a higher price because it does more (according to the long list of features printed on the retail package). Thanks for the nice feedback. This will be considered for the future. I just bought this pack & I am wondering how you removed doors and windows? "Sure you can trust the government, ask any Indian."